What can you expect when you run the spoofer tester? Here, we provide screen shots. 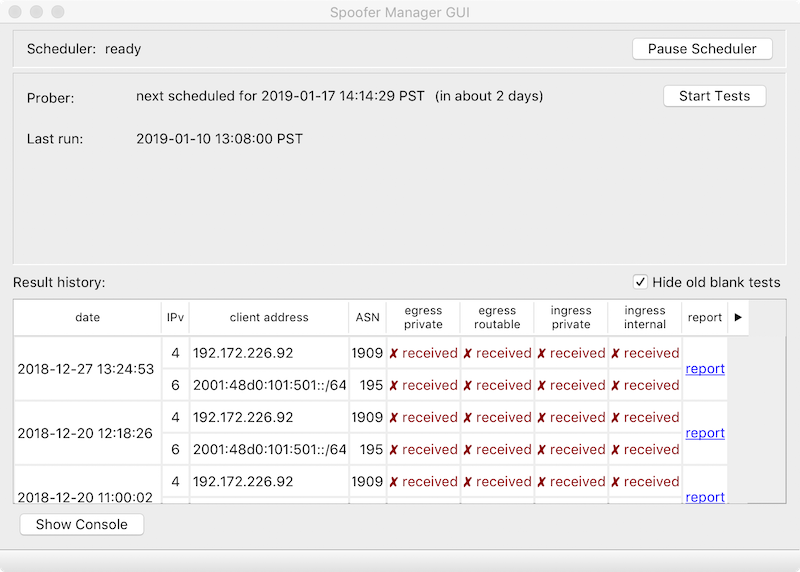 The primary view of the spoofer system is through the GUI. The GUI reports when the next test on the current network is scheduled, and provides a progress indication as a spoofer test runs. The GUI also provides a history of previous tests that the system has run, reporting the networks tested and the ability to spoof packets of different types. The GUI also provides links that provide a detailed report on the findings of an individual test. The GUI also allows various parameters controlling the spoofer system. 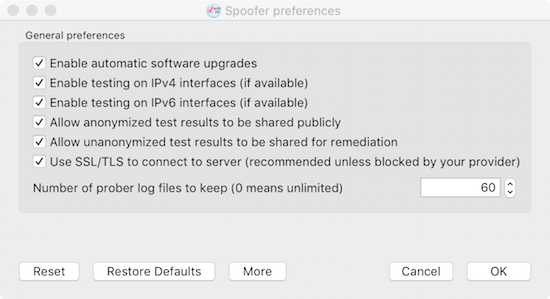 Importantly, the GUI allows a user to opt in and out of publicly sharing anonymized outcomes of previous tests, and controls how regularly the system conducts routine spoofing tests. 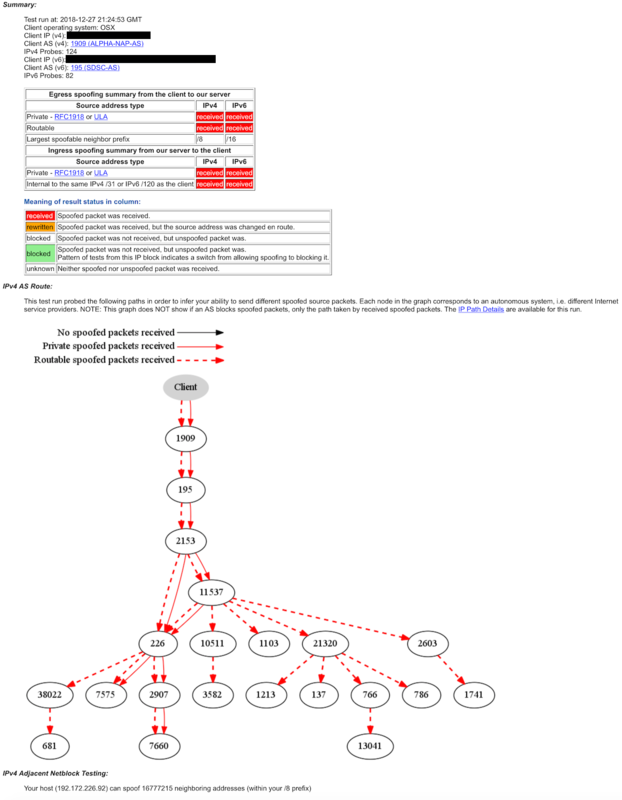 Allowing a visual understanding of which providers are filtering which traffic. A complete sample report is available.